Hashtags are keywords that contain (“#”) symbol at the start. 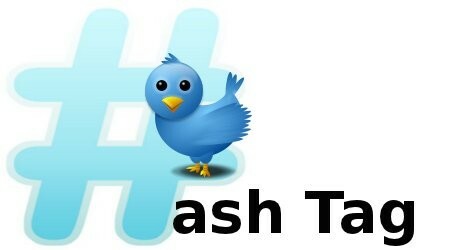 The terminology Hash tags are basically associated to twitter but its applications are not only limited to twitter. 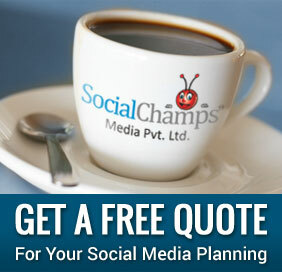 The social media websites like Pinterest, Instagram, Google+ and LinkedIn also has its presence. The best way to recognize Hash tags is simply look at the start of the keywords, for example #Parisfashionweek and #fashionweek. WHY HASH TAGS ARE USED? They are used to bring together specific tweets about particular topics. It is a way to put in order or to group tweets together. The Tweeps (people who use twitter) use it to discover topics that are alike. Hashtags are used to track communication, to find out and to approach prospect lead, and to have influencer’s implication. If you desire to create a Hashtag, select the keyword and append (“#”) before it, while using Hashtags, you should be specific and short for example lets assume that you are brand manager of Titan watches and want to know what exactly customers feel about the prevailing range of titan watches and their performance, you can use #titanwatches to know what others have tweeted about the brand. HOW IT CAN BE USED FOR BUSINESSE PURPOSES? Hashtags can be useful when a marketer desire to create as well as monitor visibility on twitter. This can be extremely advantageous when monitoring your company or your products. Hashtags have developed as a very prominent tool for marketers, especially for conferences and event organizers. It makes online searches easier. Twitter is an incredible platform for tapping into the conversation that is taking place on the web. Twitter is a podium where people tweet about their sentiments and reaction towards different things. They express their personal experiences. That is further utilized by the marketers by tracking their conversation with the help of Hashtags. For example let’s assume that you are a regular user of ponds products and you are not happy with discontinuation of ponds fairness cream in South Africa. You simply tweet “Wishes to see #pondscream discontinue in #SouthAfrica”. This statement can be tracked and used by the ponds marketers with the help of Hashtags for making requisite amendments in further decision making process regarding the restart of that particular product in South Africa. This is how the whole concept of tracking works. A marketer can expect hundreds of new follower’s online as well as real consumers by knowing how to operate and keep an eye on these. Hashtags are a very cost, effort and time efficient way to gather information. I personally suggest the marketers to make optimal use of Hashtags in order to enrich the company’s reputation and performance. I would like to introduce https://www.exporttweet.com, a Hashtag Tracking tool. ExportTweet is considered best when it comes to track & analyze hashtag performance and define your hashtag marketing strategy for your business. Being the co-founder of ExportTweet, I would like to invite you to please have a look at the tool. I am very sure that you will like it.